My husband and I are creating our dream home and way of life. We want to make it a place of peace and beauty where we can live lightly on the Earth. We dream a rich life of creativity and connection that uses a minimum of resources and is as self-sufficient as we can make it. And we would like to share it with you. The Westacre property is an extended 1930’s house that was built in a mature orchard. It has been my husband’s family home since 1972. It sits on the Staffordshire-Shropshire border, on Kingswood Common near the village of Albrighton. The orchard is now a garden with many seasonal delights, surrounded by tall trees. We are in the process of renovating the house. We’re making it very efficient to run as well as beautiful. This involves a lot of planning and hard work. At the same time, I’m making a start on implementing a permaculture garden design. In the longer term, Westacre will become a place of spiritual education and retreat. I can’t wait to welcome you here. 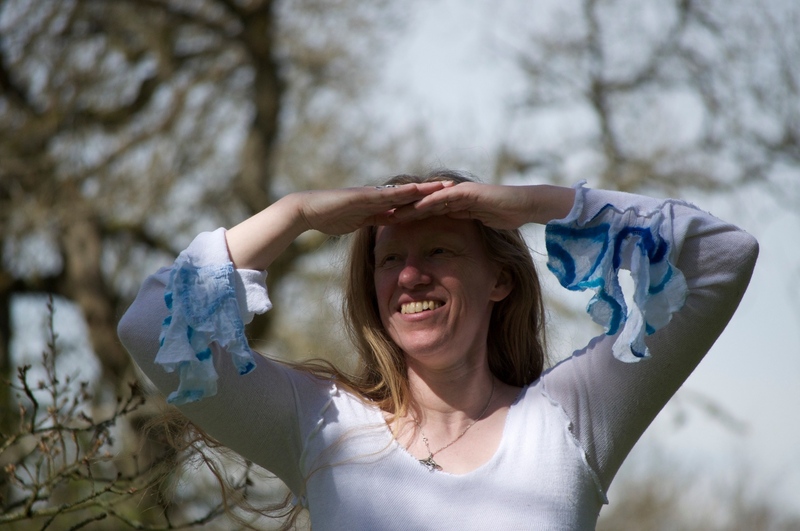 Hilde Liesens is a Druid in the Order of Bards, Ovates and Druids. Her passion is creating ritual space where people can celebrate the cycles of life and explore their spirituality. At Westacre, she intends to run a centre for individual retreat and group courses in Earth-based spiritual traditions. Hilde’s background is in adult education. She has many years’ experience teaching Dutch at the City Lit and private language schools in London. As a co-ordinator at City Lit, she has gained valuable experience to help her set up an education centre that reflects her passion. Hi, I used to sit next to Alex in Standard Chartered and often look at this website when I remember him. I’d love to meet him again. I hope everything is going well with Westacre.